In 2017, employers are sure to face a number of trending employment law challenges, new developments and emerging HR trends, especially with the uncertainty of a unified Republican government alongside the new Trump Administration. Changes in the overtime regulations, expanding equal pay laws and initiatives, the Affordable Care Act, and the rapid rise of the on-demand workforce and gig economy are just a few of the challenges employers will be faced with which may cause employers to review and revise their workplace policies, practices and procedures. 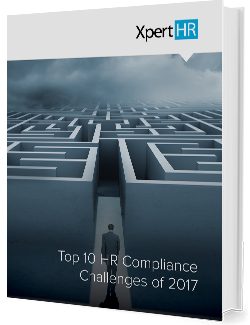 This year we solicited feedback from almost 1,200 HR professionals on what they consider to be the most challenging HR compliance issues for 2017. Download this report to get tips and guidance on how to respond to these new challenges.